The hotel is located next to T1,T2 and T3 airport terminals. The Airport Express metro line is just walking distance from the hotel, getting you to VFS Visa Centre in 20min. Centrally located, the hotel is connected by NH8 linking it to Cyber City, Cyber Hub and Ambience Mall. The hotel is next to Worldmark and located close to Delhi's shopping malls - DLF Promenade and Emporio, Select Citywalk in Saket and Indian Spinal Injuries Centre Hospital and Fortis Hospital as well. 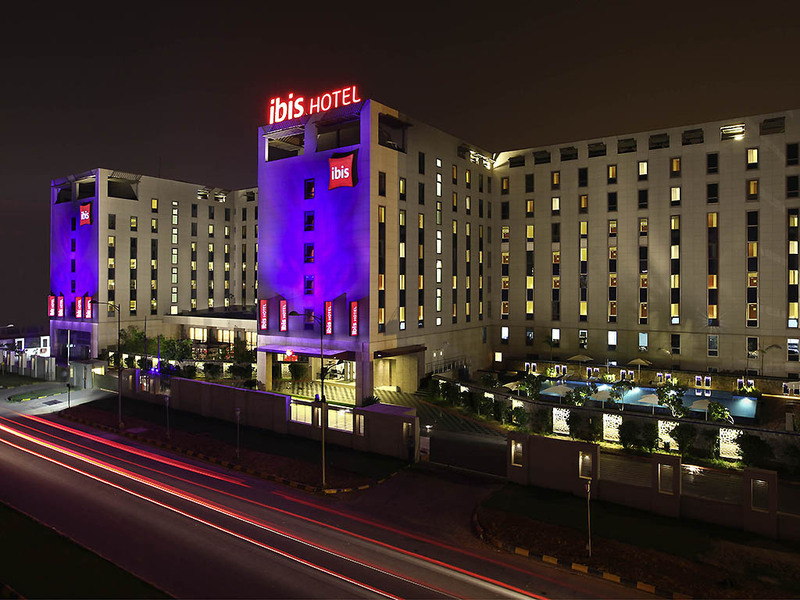 Feel Welcome at ibis Delhi Airport supremely located in New Delhi Aerocity with Hi-Speed WiFi access and soundproof rooms. Pay a little more and enjoy room with extra benefits at INR 1,000. The Swimming Pool is under renovation until March 2019. Your sleep is our priority in our 445 modern, soundproof rooms with big fluffy pillows, super-soft duvet and high-tech mattresses that align with the density points of your body. The new Sweet Bed by ibis is difficult to leave! With delectable buffets and an a la carte menu, there is always something for everyone. The Great Indian Breakfast can be enjoyed daily; in addition we have extended breakfast hours. All this in front of your eyes @ our interactive kitchen. Otele giriş ve çıkış çok hızlı bir şekilde yapılıyor. Samimi davranan çalışanları var.Kahvaltı çok çeşitli ve iştah açıcı. Harika bir açık bahçesi var. misafirlerim maalesef soğuk bira içemediler ve pizzaları soğuk servis edildi.Fiyat/kalite ortalaması çok iyi. Odalar temiz, yataklar çok rahat ve hizmet kalitesi üst düzeydedir. Rahat ve konforlu bir gün geçirdim. Eksiksiz diyebileceğim bir konaklama oldu diyebilirim. otel küçük ancak uçuş öncesi konaklama olarak yeterince rahattı. Uçuş saatimiz 06:45 oldugu için kahvaltı yapamadık.